Northwestern Mutual Life Insurance Company is one of Milwaukee’s largest corporations, and among the largest life insurance providers, real estate investors, and financial services enterprises in the United States. Maintaining its headquarters in downtown Milwaukee since 1859, the company grew along with the city over time, becoming one of its largest employers and a significant contributor to its landscape and economy. An accomplished life insurance agent from New York, company founder John C. Johnston retired and moved to the Janesville, Wisconsin, area, where he established a large livestock farm in 1854. Johnston saw the burgeoning young state as a promising market for a mutual life insurance firm like those with which he was familiar back East. He assembled a board of prominent Wisconsin business and political leaders and, in 1857, incorporated the Mutual Life Insurance Company of the State of Wisconsin in Janesville. The company struggled to secure enough capital, not issuing policies until late 1858—the first of which went to Johnston. Hoping to find a more fruitful insurance market, the company moved its operations to Milwaukee the following year. Several Eastern industry giants had already established agencies in the frontier city, to which Mutual Life of Wisconsin offered a homegrown alternative. The company’s reputation for speedy settlements boosted their number of policyholders from 350 in 1860 to 4,297 five years later. The company paid its first dividends to policyholders in 1864. The company quickly grew into a national industry leader in the late nineteenth and early twentieth centuries, becoming the eighth largest insurance firm in the nation by 1870, and sixth largest by 1907. It changed its name to “The Northwestern Mutual Life Insurance Company” in 1865 to reflect its expansion into new Midwestern markets and moved to progressively larger home offices in downtown Milwaukee—including a large stone building on the corner of Broadway and Michigan Streets in 1886 and its present location, an iconic columned building on East Wisconsin Avenue and North Van Buren Street in 1914. Northwestern Mutual Life pursued a more conservative approach to its late nineteenth and early twentieth century growth. By favoring “simple products, low expenses, high risk standards, and cautious investments,” the company weathered periods of economic depression and intense competition from Eastern industry giants that crippled other regional competitors. While other industry leaders expanded their insurance lines by the 1910s and 1920s, Northwestern maintained individual life insurance as its primary product. It did, however, diversify its supplemental investments. Extending its first loan in Milwaukee in 1860, the company’s real estate division became a significant mortgage lender in the city and region. Northwestern historically specialized in farm mortgages, investing around $140 million (mostly in Midwestern family farms) by 1918, and expanded into industrial farms in the South and Southwest in the decades after the Second World War. 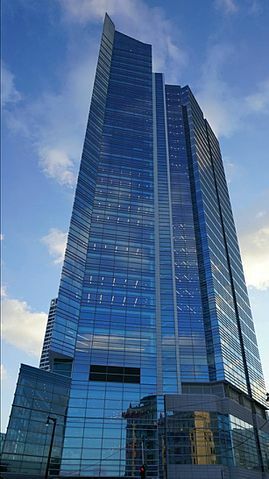 Since the 1960s, the company has become a major investor in a variety of major developments, including oil and natural gas drilling platforms in the Gulf of Mexico, resort communities in Hawaii and South Carolina, San Francisco’s Ghirardelli Square, Milwaukee’s Grand Avenue Mall, and, more recently, mixed-use towers in downtown Milwaukee, New York, Boston, and Dallas. Northwestern Mutual Life entered the finance industry in the 1990s and 2000s, offering mutual funds, trusts, and annuities as well as financial planning and investment management services. In 2000, the company shortened its marketing name to Northwestern Mutual to reflect its expansion into these new fields of service. This firm continues to serve as one of the region’s largest employers, operating major campuses in downtown Milwaukee (corporate headquarters) and Franklin (opened in 2004). Moreover, Northwestern Mutual’s annual meeting draws thousands of employees from throughout the United States to Milwaukee every summer, providing a significant boost to the city’s tourist industry. ^ John Gurda, The Quiet Company: A Modern History of Northwestern Mutual Life (Milwaukee: Northwestern Mutual Life Insurance, 1983), 1-4; William George Bruce, History of Milwaukee, City and County, vol. 1 (Chicago, IL: S. J. Clarke Publishing Company, 1922), 369. ^ Gurda, The Quiet Company, 4-5. ^ Gurda, The Quiet Company, 6. ^ Gurda, The Quiet Company, 9. ^ The company experienced its first death claims after a passenger train collided with a cow near Johnson’s Creek in late 1859 and killed fourteen people, two of whom were Mutual Life policyholders. These claims exceeded the young company’s total assets, but company president Samuel Slater Daggett borrowed from local banks to pay off the claims as quickly as possible. The company boosted its sales advertising the speedy settlement. Gurda, The Quiet Company, 9-10. ^ Gurda, The Quiet Company, 19. ^ Northwestern Mutual’s Broadway and Michigan office was built on the site of the former Newhall House, which was destroyed by fire in 1883. This building is currently the Hilton Garden Inn. Gurda, The Quiet Company, 10-12, 19, 25-27. ^ As “consumerist” reformers increasingly scrutinized industry practices and accountability in the early twentieth century, Northwestern established a Policyholders Examining Committee in 1907—a group of three (and later five) clients selected to review the company’s accounting and managerial practices each year. However, such carefulness also helped reproduce discriminatory insurance practices as Northwestern joined other companies in denying coverage to racial minority groups they deemed to be “high-risk” in this period. Gurda, The Quiet Company, 9-10, 12-18, 20, 25. ^ Gurda, The Quiet Company, 11. ^ Gurda, The Quiet Company, 27, 111-112. ^ Gurda, The Quiet Company, 209-210, 212, 256, 282–283; “News & Press Releases,” Northwestern Mutual Real Estate, accessed April 25, 2016. ^ Northwestern Mutual Sold Its Russell Investments Division in 2014. Paul Gores, “Northwestern Mutual Completes Sale of Frank Russell Co.,” JSOnline, December 3, 2014. ^ “Northwestern Mutual Historical Timeline,” Northwestern Mutual website, accessed June 22, 2016; Barbara Zaferos, “Largest Milwaukee-Area Private Sector Employers,” Milwaukee Business Journal, July 10, 2015. ^ “‘We Are Thrilled:’ Northwestern Mutual’s Annual Meeting to Draw 10,000 to Milwaukee,” FOX6Now.com, July 16, 2015. Gurda, John. The Quiet Company: A Modern History of Northwestern Mutual Life. 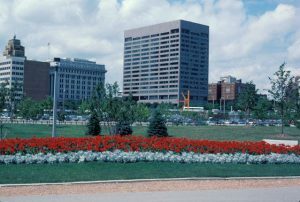 Milwaukee: Northwestern Mutual Life Insurance, 1983.